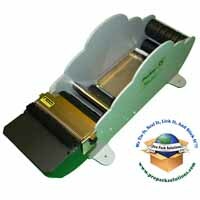 We sell and service Better Packages, Cyklop, Marsh, and Phoenix gummed tape dispensers. People ask, What is the best way to seal a box? If you want a permanent seal that will show if someone has compromised the integrity of the package or something vermin proof, use water activated tape. 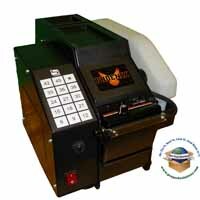 Gummed tape machines dispense water activated Kraft plain and reinforced gummed tape to seal cartons. 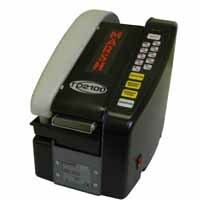 The tape will create a permanent bond with the carton fibers and keep your products well protected in transit. 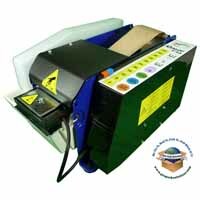 Better Packages tape dispensers are the most popular machine for dispensing gummed tape for sealing cartons. Gummed tape is creates a natural bond with cartons. The gummed adhesives absorbs dust, etc. and still bonds to the fibers. Gummed tape can also be used to cover old labels and markings to minimize confusing shipping companies. When compared with plastic tapes, gummed tape only requires one strip on the top and bottom flaps. Standard plastic tape is only 2" wide and packers will generally use two or more strips on each the top and bottom flaps of the box causing a doubling of the cost of labor, and an increase in overall tape expenditure. 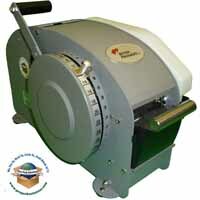 Other savings are realized by eliminating the time spent looking for lost tape guns, and the number of times you have to replace the roll of tape.